The news that China’s GDP growth in 2017 was 6.9 per cent as opposed to the government target of 6.5 per cent and the January 2017 international Monetary Fund (IMF) projection of 6.5 per cent is merely the latest in a sequence of economic data releases that has pushed economists to play catch-up with economic reality.China is also not the only BRICS member county to see economic data exceed expectations.Brazil has surprised by how robust its economy has performed despite the ongoing corruption allegations and the stalled political reform agenda.Russia has exceeded expectations both in terms of growth and low inflation, while India has started to recover from the high-denomination rupee withdrawal of November 2016. South Africa has recently seen accelerating growth after a slow first half. BEIJING, June 5 (Xinhua) — The upcoming 18th summit of the Shanghai Cooperation Organization (SCO) in the eastern Chinese city of Qingdao has come under the global spotlight as it carries special significance.Scheduled for June 9-10, the summit will witness the gathering of leaders of SCO member states and observer states, as well as heads of international organizations in Qingdao, Shandong Province.FIRST SUMMIT AFTER EXPANSIONIt will be the first SCO summit after India and Pakistan were accepted as full members in June 2017 at the Astana summit in Kazakhstan.After the expansion, the eight full members of the SCO are China, India, Kazakhstan, Kyrgyzstan, Pakistan, Russia, Tajikistan, and Uzbekistan. 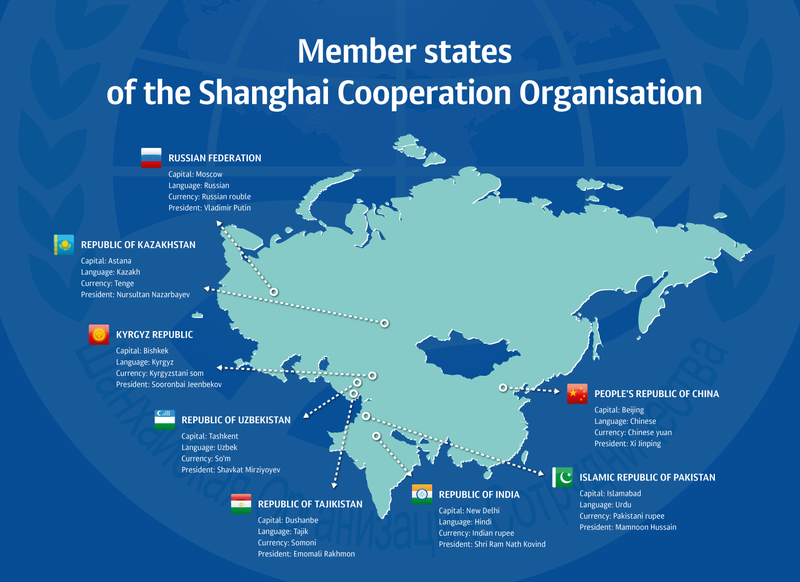 The SCO also has four observer states and six dialogue partners.